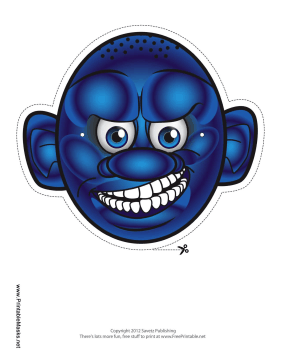 This creepy bald monster mask is blue with big ears, a big nose, and white teeth. This mask is perfect for a scary Halloween costume. This mask is free to download and print.